FOUR SONNETS is a new work, made with the pioneering Orchestra Of The Swan, from Stratford On Avon. It combines readings of sonnets 18, 73, 97 and 98, sent in by members of the public, found sounds and music performed from a Time Structured Map which gives the musicians improvisational themes and guidelines. 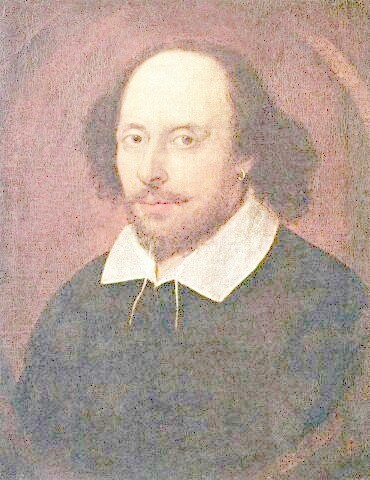 Shakespeare’s sonnets are probably the best known love poems in the English language. This musical treatment presents them as love letters – people have sent me their readings from all over the world and I have placed them side by side, into a collage of words and music. So, for example, in Sonnet LXXIII, which begins ‘That season thou mayst in me behold’ we can hear a male voice near the beginning accompanied by the sound of a crackling fire, a distant funeral bell and a gently evolving musical theme, with the same sonnet read near the end by a female voice, it poses questions: are they husband and wife? Long distance lovers? Or are they simply next door neighbours who share the same emotion but are unaware of each other? Be warned – this interpretation may make drama teachers feel faint or theatre directors dizzy with rage; but if you want to hear famous, talented thespians intoning Shakespeare’s sonnets, there are plenty of recordings to choose from, here we have ordinary people; recordings made on iPhones, hard-disk recorders and the like and what we hear are people’s own responses and interpretations of the poems. This work is less about Shakespeare than about how we appropriate his words and invest them with our own feelings, hence I believe each reading is valid simply by virtue of someone taking the trouble to record and send it. And personally, I cherish the different ways in which individuals read these sonnets: one of the gifts of poetry is surely that we can share our feelings, our ‘inwardness’, in this way. Orchestra Of The Swan and I have nominally chosen these sonnets around the theme of the four seasons, although Shakespeare of course used the seasons only metaphorically, this selection seemed to make for a cyclical journey that encompassed a wide range of emotions and imagery. The musicians too, participate in this dialogue. I have given them themes that are passed back and forth, in the same way as a conversation, the phrases seeking to reflect Shakespeare’s themes and tones. The music for four sonnets is performed in an unusual way, from a time structured map, a system I have developed over the years which abandons counting and where each ‘bar’ is 30 seconds long – musicians are given stop-watches and play from improvisational guidelines. The results can be subtle and textural. It is a somewhat different way to make music and like any new language or dialect, it can take a little while to get used to, for musicians and audiences alike.